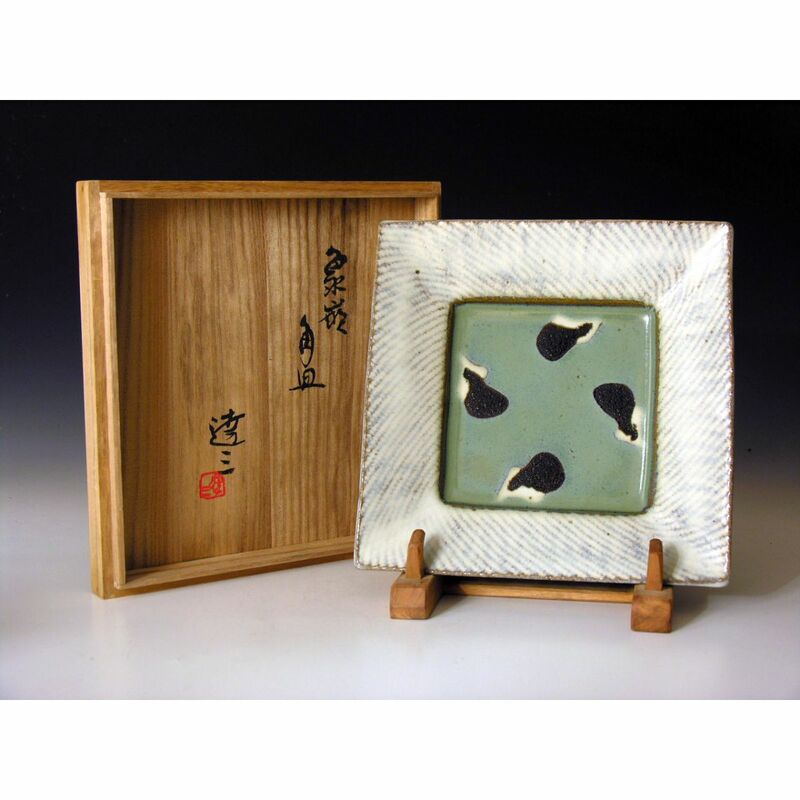 HJ16 A square plate by Tatsuzo Shimaoka. The edge with rope impressed pattern and the well decorated with stylized aubergine motif. 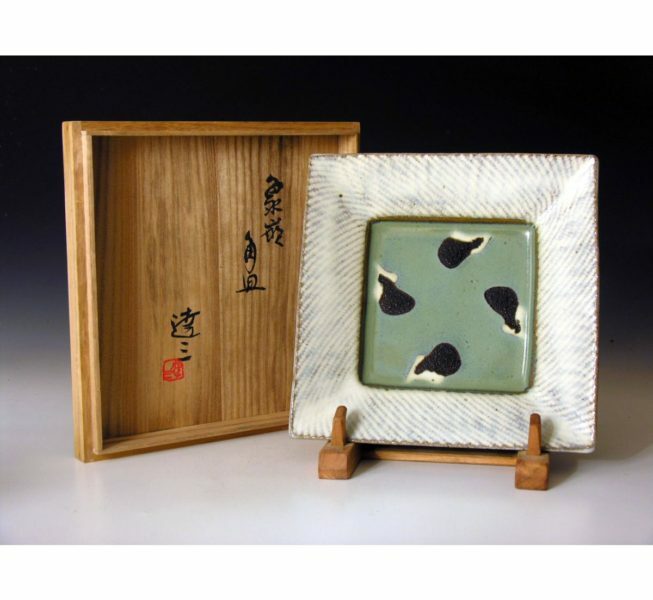 This is a particularly good example of Shimaoka’s square plates.